Achieve detailed recordings. 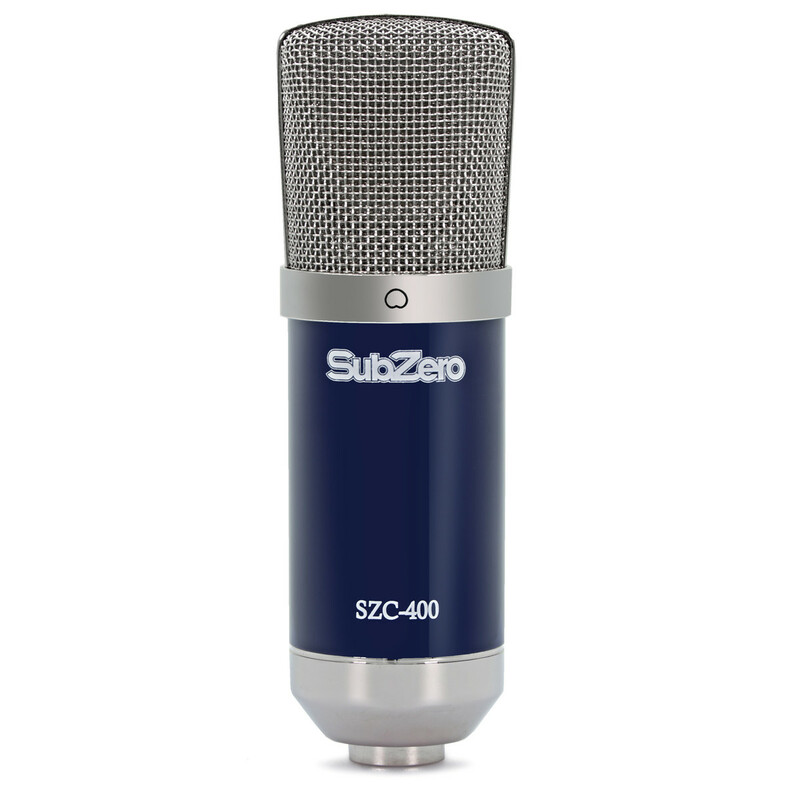 The SubZero SZC-400 Condenser Microphone produces a transparent and accurate sound, which complements vocals and acoustic instruments alike. Complete with low-distortion FET circuitry to reduce operating noise, the SZC-400 is a reliable all-rounder for the home and studio. Reliable and accurate. 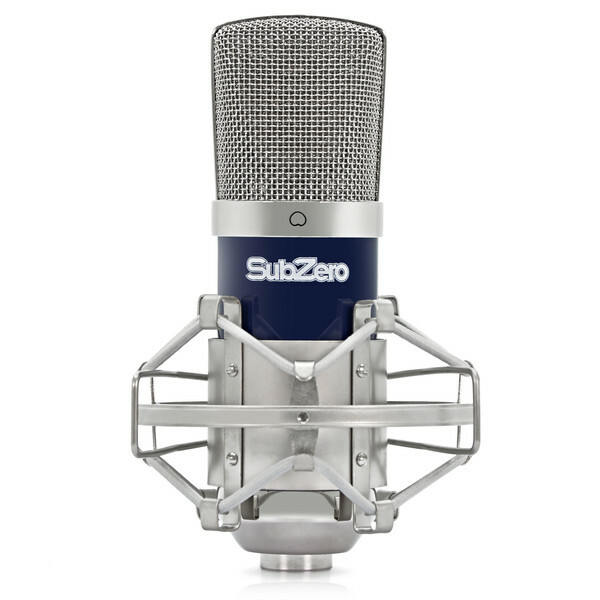 The SubZero SZC-400 is a high quality large condenser microphone. Its 34mm gold-plated diaphragm produces a smooth sound, with a fullness that flatters dialogue, singers and acoustic instruments. This is complemented by low-distortion FET circuitry, for a superior signal-to-noise ratio and increased sensitivity. Record everything with definition and detail. Stand out from the mix. 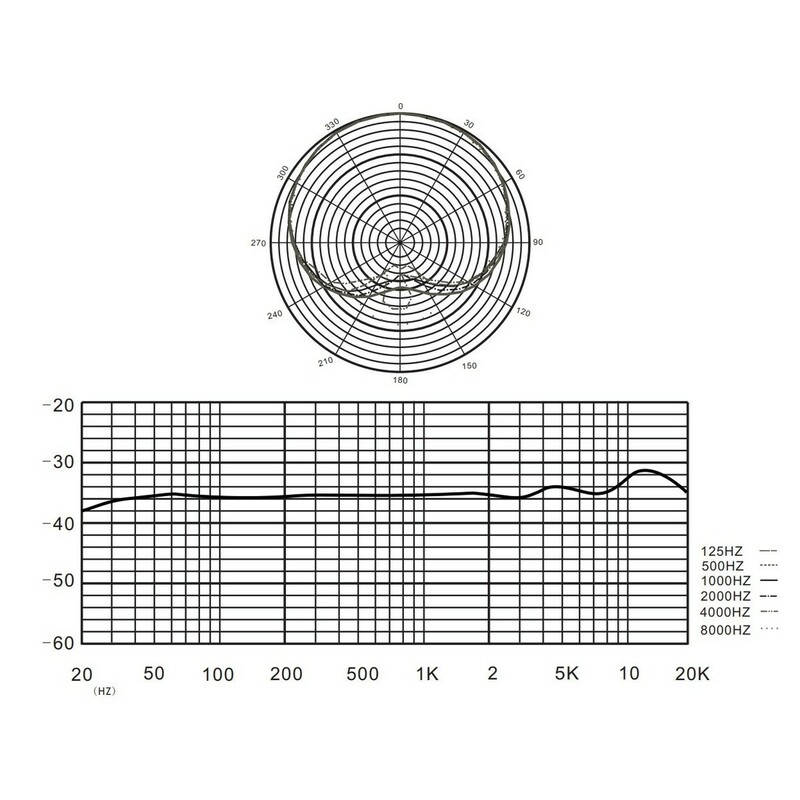 The wide frequency response (30Hz-20kHz) includes a subtle brightness in the upper frequencies. Vocals sit at the front of your mix, while acoustic guitars have a polished, crisp sound. The SubZero SZC-400 also features a useful cardioid polar pattern. This means it's much less sensitive to sounds coming from the rear, so you can achieve separation between different instruments when you record. You can even record stylistic, off-axis tonal effects by rotating the microphone and recording from its side. Supporting up to 125dB sound pressure level, this mic can be used in loud environments and on the stage. It's perfect for both studio and live use. Finished in a sturdy, metal casing. The microphone's chassis and included shockmount isolate its capsule from external vibrations. This prevents unwanted low frequency sounds from being recorded, so you achieve clean recordings. 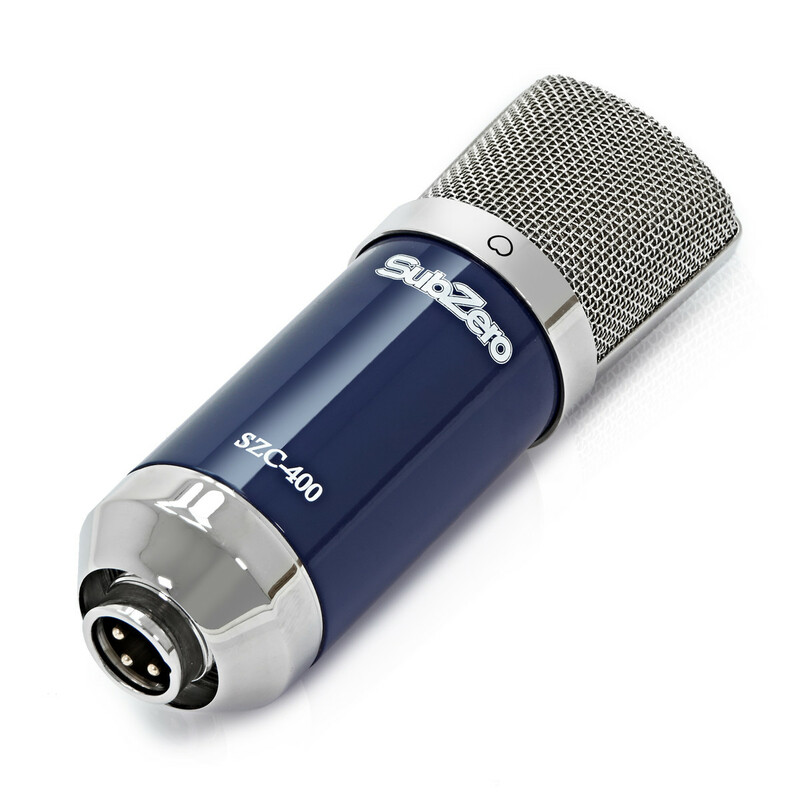 The SZC-400 also comes with a carry pouch to keep your microphone clean and protected from dust – for increased longevity and reliability.